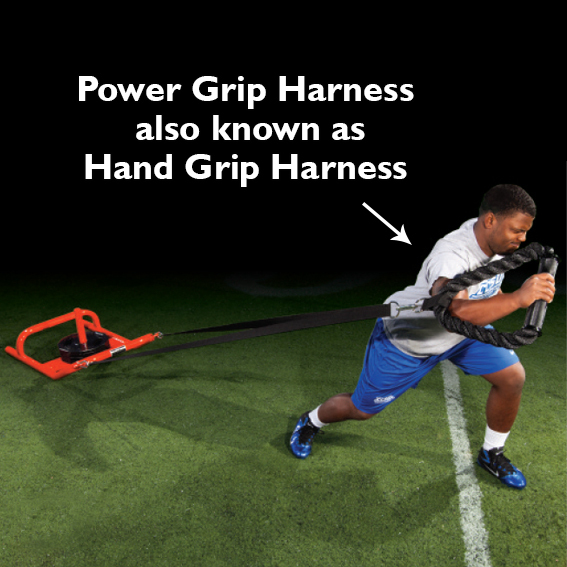 The POWER GRIP HARNESS combines a rope handle loop with a "V" belt attachment for a sled. Use the "fat" handle to develop a stronger grip. Excellent for single or double hand pulls.